Funding…every entrepreneur and businessman’s bane! Money is the grease that makes the wheels go round! Seeking investors for your project’s future has worn the best men down. Many ideas and dreams have been crushed for lack of money. Empty bank accounts have brought down many small business’s to huge corporate entities. Money is life…at least for the continued existence of your business! Seeking investors to perpetuate the next “big thing” is a serious endeavor for every successful businessman. You must always be growing. You must always be thinking ahead. Your competitors, and your customers, are not sitting around waiting for you to make a move. Everyone has the idea…the next “big thing.” To make a move…requires money!! Money is everywhere! Getting it into your bank account is a whole another story! This is where financial opportunities evolve according to knowledge, skills, determination, and luck. Today, banks, credit unions, venture capitalist (VC), loans and crowd funding are the usual source for procuring investment funds. Backwater Paddle Company has investigated VC’s and personal investors. They want a sizable chunk of your company for their investment. Banks and credit unions want monthly loan payments. That’s when you understand the meaning of the phrase: what is hard money lending New York? In lieu of payments and stock percentages, we have decided to bring the project to fruition via crowd funding. This is a relatively low risk approach to securing necessary funds for your project. Kickstarter and Indiegogo are the two leading crowd funding sites for technology and sport related categories. (You can link to the sites by scrolling onto their names) Crowd funding is a process where individuals can pledge/invest into your project. Instead of soliciting one investor for $100,000…we procure 1000+ investors for $100 each. So, what do the investors receive in return for their investment? Product. In our case, the investors will receive a first run Assassin Kayak Paddle. MSRP $139. Basically they receive a $40 discount on the worlds “baddest” paddle…and get it first!! Numbers!! The only way this crowd funding works is in numbers! We have to access tens of thousands of potential investors to get the 1000+ we need to move forward. 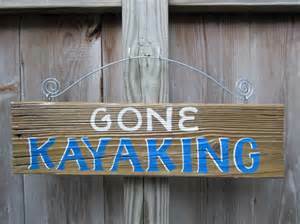 Fortunately we have over 12,000+ Backwater Paddle Company Face Book fans dedicated to paddle sports. They all have friends and families. 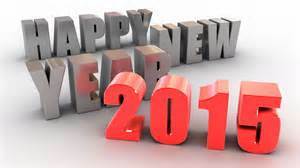 We also have access to all our previous BPC customers contact information. This is a good start. Kayak Angler magazine and Paddling.net, two of the major media contributors to all things paddle sports, will also contribute to spreading the word. Between the two, they have hundreds of thousands of subscribed customers waiting for the latest and greatest paddle sport products to hit the market. A successful crowd funding campaign requires a “killer” video. Every potential investor will peruse a 2 – 3 minute product video. This product video has to relay maximum sensory visual impact in minimum time. This requires professionals. We will hire the necessary videographers and their expertise in composing this video. Keep your eyes open for the crowd funding campaign! Spread the word!! As the Assassin Kayak Paddle continues its journey to market, we will keep you posted on our progress. I always try to predict a debut date, but with so many factors still to be resolved…we are now hoping for spring. This entry was posted in Assassin Kayak Paddle, Backwater Paddle Products, Marketing My Company on September 23, 2015 by Paddleman. The Assassin Kayak Paddle, a full size kayak paddle, is Backwater Paddle Company’s latest paddle design. Our innovative paddle projects continue to revolutionize the paddle sports market. Well, we just made the BEST kayak paddle…in the world!! Our patented “hook and teeth” blade design, and proprietary raised graphics package not only contribute to function and aesthetics, but deliver the energy of the Assassin Kayak Paddle. 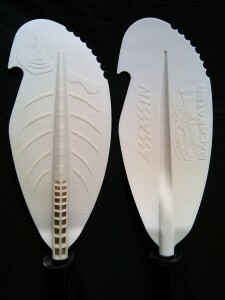 Assassin Kayak Paddle prototypes showing left and right blade designs. Backwater Paddle Company is known throughout the paddle sports industry for its legendary Assault Hand Paddles. These unique hand paddles have revolutionized paddle sportsmen’s stealth and mobility. Paddle sportsmen and kayak anglers utilize the compact and lightweight hand paddle to single-handedly maneuver their kayaks while continuing to stalk their prey. 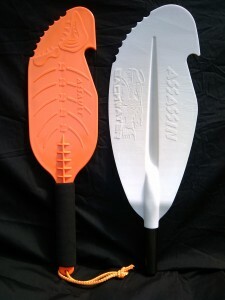 Comparing the Assassin Kayak Paddle to the Assault Hand Paddle, you note the similarities in the proprietary blade design, with major differences in blade width and length. Both paddles deliver in performance, yet convey that extreme “awesome” factor!! Assassin Kayak Paddle and Assault Hand Paddle size comparison. Big brother meet little brother!! We wanted our kayak paddle to have the same features, and more abilities, than its little hand paddle brother. We totally achieved success!! Even better, with your Assassin Kayak Paddle, you now have total capability to paddle out to your fishing hole or hunting grounds, through the densest of brush and around obstacles. You will be confident in knowing your kayak paddle will help grab, pull or push you…providing unparalleled mobility. When on station, put the Assassin away, break out the Assault Hand Paddle…and continue fishing or hunting with unequalled stealth and mobility!! The Assassin Kayak Paddle will be made from a 10% nylon infused polypropylene for strength and durability, with a UV additive for longevity. The kayak blades are 7 1/2″ wide by 18″ long. The patented blades will be attached to fiberglass or carbon fiber shafts, coming in standard 230, 240 and 250 cm lengths. We will provide custom cut shaft lengths per customer order. Assassin Kayak Paddle prototype, left blade, back side. 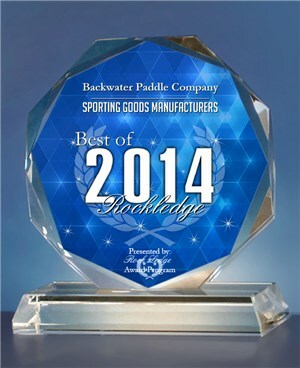 Through our diligent marketing and advertising campaigns, Backwater Paddle Company has grown to 80+ dealers spread around the nation, and 25+ international dealers. This provides a solid platform for quickly introducing the Assassin Kayak Paddle into the paddle sports market. MSRP $119 – $129.00 Available Winter 2015. As more information and photos becomes available, we will post them accordingly. If you want to become a Backwater Paddle Company dealer, contact Ed at ed@backwaterpaddles.com for more information. Thanks for your continued support. 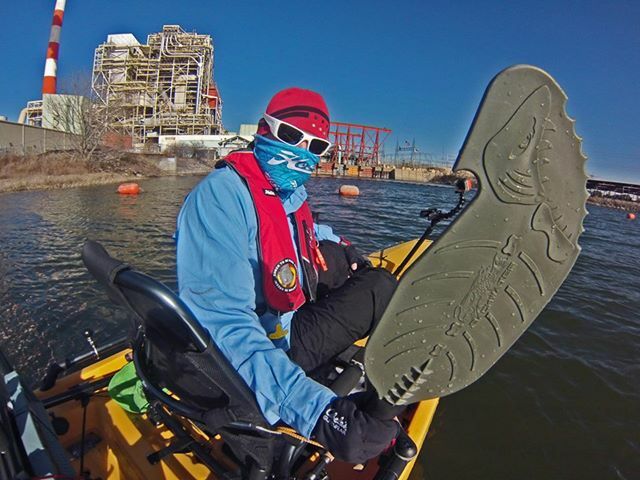 This entry was posted in Assassin Kayak Paddle, Assault Hand Paddle, Backwater Paddle Products, Marketing My Company, Uncategorized on August 12, 2015 by Paddleman. Introducing the Assassin Kayak Paddle…the Assault Hand Paddles’ big brother!! 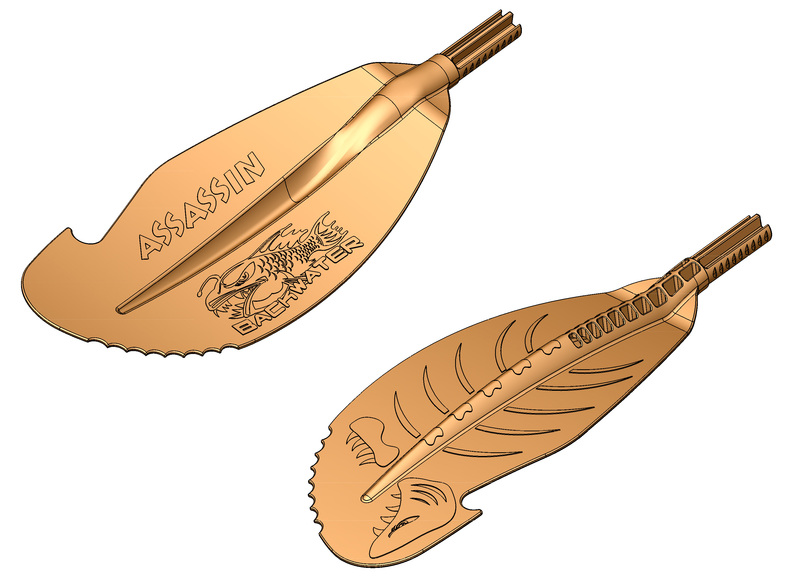 Assassin Kayak Paddle CAD photo. Left blade, power side. The value of Assault Hand Paddles have been growing exponentially in the paddle sports community. 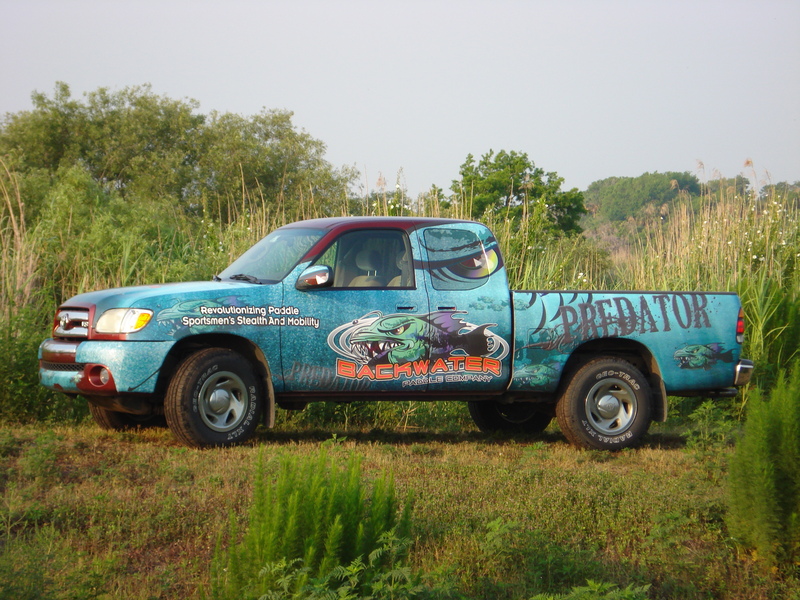 With our patented “hook and teeth” blade, raised graphics package, and fully functional design…the “awesome factor” is spreading like wild fire!! Through our diligent marketing, and solid product strategy, we now have 80+ Backwater Paddle Company dealers spread around the nation, and increasing weekly! According to the latest data from ICAST: The sport fishing industry generated 53.5 billion dollars in 2014. Kayak anglers currently account for 7-12% of all anglers. The number of kayakers in North America is approximately 8 million. Do the math…there is some serious money for the taking out there!! We continue, as an industry, to try and provide all the latest paddle sports equipment, gear and accessories to the paddle sportsman, and sportswoman. Every year the outdoor retail industry promotes shows and expos devoted to new products and innovations. Perusing all the latest paddle sports marketing material, most of the research and development has been applied toward kayak designs and redesigns, as well as kayaking accessories. Paddle design, more or less, has been simply relegated to the paddle shaft connections. Paddle manufacturers seemed to have figured out 20 different ways to connect your paddle shaft halves together. Basic research and development of blade design, and blade materials, have pretty much all been played out over the years. Backwater Paddle Company will not be a one-hit wonder in the paddle sports market. 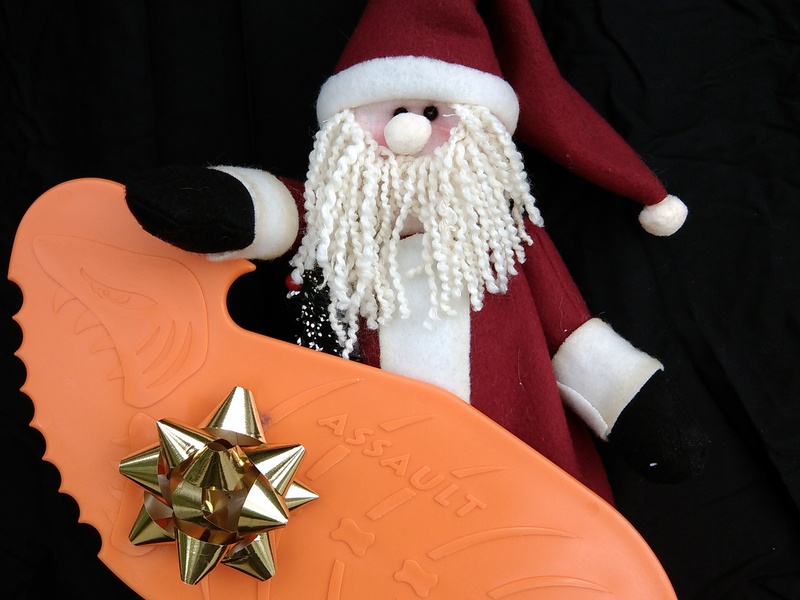 Our Assault Hand Paddles patented blade design solved a stealth and mobility issue. As a small business, we listened to the paddle sportsmen, worked diligently at identifying the problem, and provided an extremely functional solution. Again we are listening…introducing the Assassin Kayak Paddle. 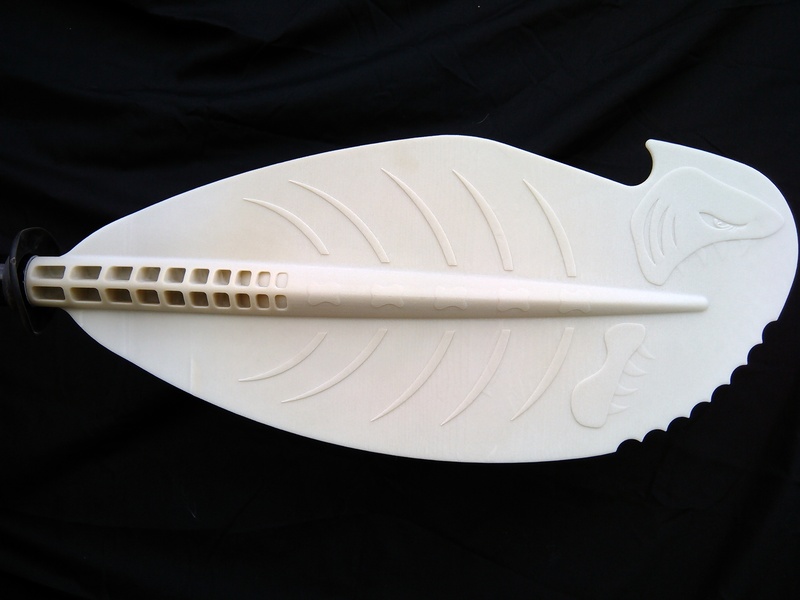 Backwater Paddle Company has been diligently working on a new paddle design. The Assassin, a full size kayak paddle with the patented “hook and teeth” blade design, and raised graphics package is in the works. Assassin Kayak Paddle CAD photo. Left blade, front and back. As we state…our paddles are revolutionizing paddle sportsmen’s stealth and mobility! They will be BADASS…100% guaranteed!! We are looking towards Fall 2015 to introduce our Assassin Kayak Paddle to the paddle sports community. We will keep you posted as to their unveiling. Thanks for your continued support! Paddle on my friends!! This entry was posted in Assassin Kayak Paddle, Backwater Paddle Products, Uncategorized on August 3, 2015 by Paddleman. Whether you’re angling for freshwater species or sport fishing for saltwater fish; we’ve got the best fishing reports, fishing spots and a great online fishing shop. We demonstrate various fishing techniques – from game fishing to fly fishing; where to get a fishing license and showcase all of the latest fishing tackle. AFN is your one stop destination for fishing in Australia. Backwater Paddle Company’s Assault hand paddle screams “Don’t mess with me, I’ve got your number”. Its scary fish skeleton and teeth motif are a theme carried into the paddle blades physical design, which includes a hook as well as the paddles second set of dentures. The blade hook assists kayak anglers grab onto an overhanging tree branch or jetty and draw a kayak in. The teeth allow the reverse kayak motion by providing some traction to push away from structure. With a design evolved from a World War II US Air Force jungle survival tool by company head Ed Halm, the paddle is constructed of 10% fiberglass and infused polypropylene plastic. The Assaults construction ingredients allow it to float should it try an escape. Absconding is hindered by a foam grip and lanyard. In practice, the best endorsement of the Assault’s utility is that the tournament guys use them to gain an edge. “They help set up a silent cast at a snag. When a kayak is disoriented by wind or current, or drifting in too quick, reaching for a full length paddle can create noise and spook fish”, says tournament kayak angler and Hobie guru Scott Lovig. “A quick forward or reverse re-orientating paddle stroke with the Assault can be done with one hand, while a rod is ready for a cast in the other. Alternately, the hook can allow attachment to a branch upstream of a target snag”. In verification mode I tested the Assault in amongst the timber on Lake Fyans, a Victorian trout and redfin water. Paddling a Dagger Drifter II, a kayak more workhorse than a nimble fox, the Assault achieved all expectations. When mooching from tree to tree, only one or two paddle strokes were required to aim a kayak bow, and then fire a cast. With wind assisted kayak motion drifting onto a tree, the Assault blade is effectively an oversized rudder guiding you in. The hook and teeth aided snag traction, and I was also impressed that it allowed me to navigate under branches more easily than a full paddle length would. In shallow water over rocks, an Assault hand paddle could also save more expensive paddle blade damage. To test the Assault’s strength, I thumped it around during testing and it was unbreakable, no kayak fishing gear is, but there’d have to be a whole lot of force and a good fisherman’s tale behind snapping an Assault. If you’re an in tight and snaggy kayak angler, the Assault is a worthy multi-tasking paddle buddy. This entry was posted in Assault Hand Paddle, Backwater Paddle Products, Marketing My Company and tagged Assault Hand Paddle, Backwater Paddle Company, fishing, kayak fishing, kayak fishing hand paddles, paddle sports on February 13, 2015 by Paddleman. Again, the holidays have snuck up on us. It is already November! Thanksgiving is just a week away…and we are already inundated with Christmas advertising!! TV, newspaper, magazines, radio, Face Book, Twitter, Pinterest, billboards, even the dude standing outside your favorite store ringing the bell soliciting your change for the “red pot”…you cannot escape the fact that Christmas is here! Black Friday, Small Business Saturday, Cyber Monday…time to get your marketing and advertising campaigns in gear, or get left behind!! Time waits for no man!! Not even Santa Claus!! Below is some of the photos we are using for this seasons holiday advertising campaigns. 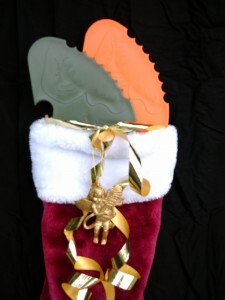 As you can see, the Assault Hand Paddles are a perfect fit for the legendary Christmas stockings. Paddle sportsmen around the world will be waking up to see what Santa has left under the tree, or hanging from the fireplace mantle. Along with their new kayak…they are hoping for the latest paddle sports gear, equipment and accessories that will compliment their growing hobby. 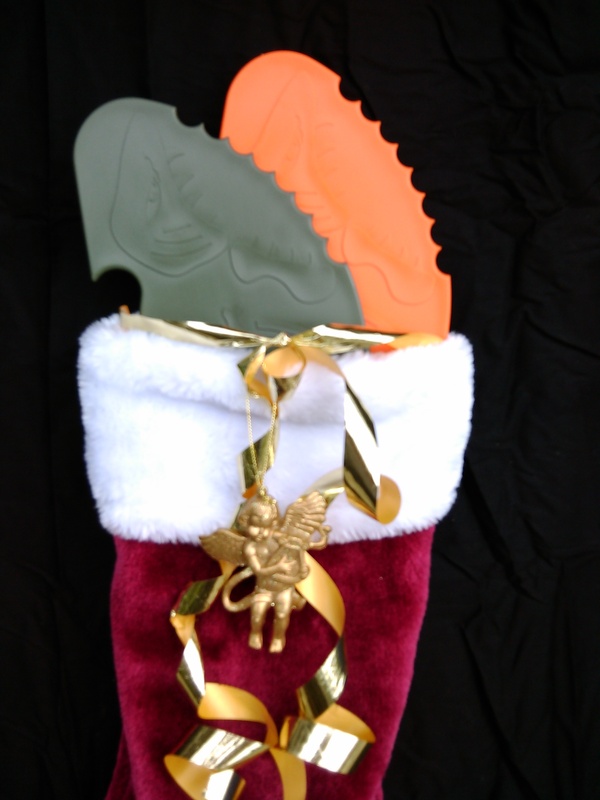 Assault Hand Paddles…the perfect stocking stuffer! Thankfully, we are in the game this year with our holiday marketing. Having over 50 dealers around the country significantly enhances our brand exposure and availability. Austin Canoe and Kayak (ACK) has three stores and buys four to five dozen paddles a month! We are now working with an e-mail consulting agency. They provide us with professionally designed templates, from which we add our own text and photos. They track the sending, opening and bounce rates, providing us feedback for our e-mail campaigns. This alone has stepped up our corporate identity, profile and professionalism within the paddle sports community. This entry was posted in Assault Hand Paddle, Backwater Paddle Products, Marketing My Company and tagged Assault Hand Paddle, Backwater Paddle Company, fishing, kayak fishing, paddle sports on November 23, 2014 by Paddleman. Aaron Stiger is a force in the kayak angling community. He is a member for the Jackson Kayak Fishing team, Crew for Hook 1 Kayak Fishing Gear and Pro Staff for Manley Rods. Backwater Paddle Company most appreciates your time and consideration in providing us with this awesome review Aaron! How many times have you found yourself floating down a river, or holding a spot on flat water when the current or wind takes you past the area you intended to fish. You are now out of position, and handling your paddle is noisy, clunky and will more than likely scare away any fish in the area. In situations like this, especially in the fall when the water is very clear, it is important to have a stealth approach to handling and maneuvering your kayak. Today, I am going to review a product that I feel can make a huge impact on your fishing by being a positive fish factor in your kayak. This product is the Assault Hand Paddle by Edward Halm’s Backwater Paddle Company. When you first see the paddle, you will see it comes it one of two colors: “Orange” or “OD-Green.” Each spring, Backwater Paddle Company also solicits votes from paddle outdoorsmen for new colors, so be on the lookout and vote for your favorite color. This is a great feature and shows that the company is truly in-touch with the kayak anglers and other outdoorsmen it serves. After picking up the paddle, you will notice it’s almost a full pound. Weighing in at 12 ounces, this brute paddle is made for daily use. It is 22 inches long and the blade is over ¼ inch wide. This sturdy plastic is made for taking punishment on the water. Also featured on the blade is a hook, which is used for pulling, and teeth, which are used for pushing. I will detail these aspects in more detail later in the review. The handle is also covered in foam which aids in the paddle’s buoyancy and comfort. A rope lanyard is also attached, which allows it to stay on your wrist or tethered to you kayak. On the water, I found myself finding various uses for this paddle. The first place I found it especially helpful was to approach a partially-submerged brush pile. When fishing shallow or clear water, dipping a paddle and knocking it off of branches underwater puts fish from a predatory to prey mentality. Your chances of catching a fish decrease significantly. Approaching the brush pile, I simply used the hook feature to grab onto a branch. I continued to grab another time to get even closer, and I then tethered off onto one of the branches. I tethered by clipping a small carabineer onto the rope and then securing it to my kayak. This worked brilliantly. Another significant use I immediately found for the hook was after I got my lure caught in the submerged limbs. Normally, I test the strength of my knot, line and rod tip as I pull and tug, trying to free the lure. With the Assault Hand Paddle, it was a much more simplified process. I took the hook of the paddle, and grabbed the small branch, pulled the branch up, and freed the lure with my hand. After fishing around the wood pile, it was time to push off. I untethered the orange Assault paddle and used the teeth side of the paddle to dig into a log and push my kayak a sufficient distance away from the brush pile so I could begin my normal paddle stroke. It was not long when I realized another opportunity arose for the Assault Hand Paddle. Normally on a river, fishing headwater is extremely difficult in a kayak. Most of the time, a kayaker will simply blow through the headwater, riffles, and only fish the back end of a pool. I have tried to fish headwater in the past, but it always required me to drop my anchor in and let it drag, undoubtedly scaring any resident fish I was targeting. Today, I was able to locate a stray tree caught on a rock right at the push water before the riffle. The process I took was to tether the Assault Hand Paddle to the side of my kayak, secure the hook to the exposed limb, and begin fishing. This paddle surprised me at how well it held up in the push water. Even though the water was trying to push my kayak downstream with all its might, the paddle held, and I was able to stand and cast until I was satisfied I had fished the area thoroughly. When I was done, I unhooked the paddle, and pushed off as I was taken quickly downstream through the riffle. Throughout the day, I tend to target my casts more and more precisely on an ordinary fishing trip. This means I am pinpointing specific targets, often around heavy cover. As I continued this ritual, I found myself hooked up in a tree about 8 feet in a branch. I was unable to reach it by hand, but immediately had an idea. I saw a low-hanging branch and tethered my OD-Green Assault Paddle to it. I then let out line, and took my Orange Assault Paddle and hooked onto the small limb, bringing the lure into reach, and freeing it. In this scenario I was rocking the boat back and forth, and even was able to jump up to reach the limb. The OD-Green Assault Paddle never let off its grip. What a great application of two paddles that scenario proved to be. 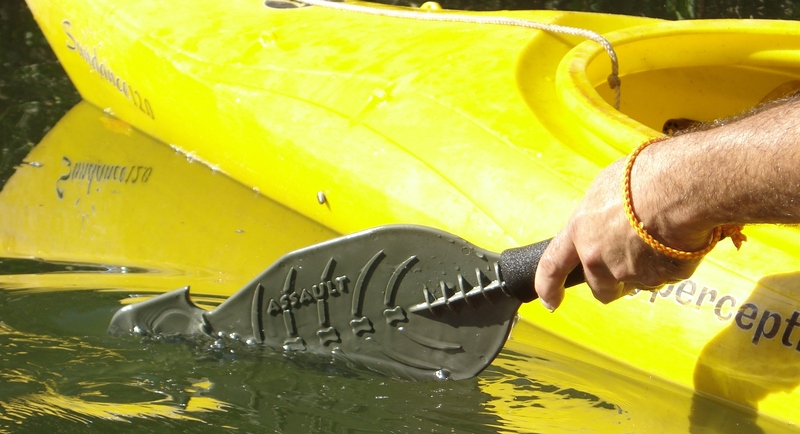 One of the most well-known uses of the Assault Hand Paddle is for maneuverability and positioning of your kayak. Today, I did this countless times and the subtle ease of movement around structure or to maintain a position on a slow-moving section of river was invaluable. Not having to occupy both hands with a paddle, and just quickly using a hand stroke to maintain my spot allowed me to fire-off more casts, and catch more fish. Having my Assault Hand Paddle served one final purpose on the day. The water I typically fish is extremely skinny. I often drag much of the flow or try to paddle through, digging my expensive paddle into the rocky river bottom. 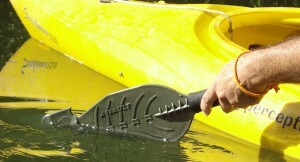 By using the Assault Paddle, I was able to save the wear and tear on my other paddle when I would get stuck on bottom. By using the teeth to push into the river bottom, I was able to free myself without getting into the 50 degree water. This was extremely convenient and kept me dry. One final use I can see for the paddle that I was not able to try today was to use the paddle as an ice breaker. I fish quite often in the winter and sometimes find my kayak surrounded and stuck by skim ice. Normally, I carry a hatchet with me, but now I will simply carry an Assault Hand Paddle. With Backwater Paddle Company’s warranty of “100% Guarantee, You Break it We Replace it,” I feel comfortable placing this paddle through the wringer. Overall, I was pleasantly surprised at the Assault Hand Paddle’s versatility. After using it, I realize it is the Swiss Army Knife of kayak paddles, and there are none like it. For $29.95 at http://www.kayakfishinggear.com/search?q=assault+paddle&type=product it is a no-brainer as far as an accessory for the kayak. It was a great tool to have on the water, and I look forward to exploring many more uses for this paddle in the future. This entry was posted in Assault Hand Paddle, Backwater Paddle Products, Marketing My Company and tagged Assault Hand Paddle, Backwater Paddle Company, kayak fishing, kayak fishing hand paddles, paddle sports on November 7, 2014 by Paddleman. If you’re like me, when I first started seeing the Assault Hand Paddle by Backwater Paddle Company on social media I could not for the life of me understand what importance or usefulness this thing could have. There were some well-known people in the kayak fishing community who were promoting them but I chalked it up to good marketing at best. I figured I did not need another paddle other than the one that I use to get from one place to the other. What could I do with the Assault Paddle that I couldn’t already do with the paddle that I have? Let me share with you when my thoughts began to change about this paddle’s usefulness. As many of you know, I spend a lot of time sight fishing in very skinny water. Stealth is a very important factor in this manner of fishing. While on the water, I found myself in constant circumstances when I needed to move my kayak a short distance or just reposition it. I noticed that when I would retrieve my paddle or set it back down on the kayak, there was a propensity to make unwanted noise. Even if I was successful at maintaining stealth mode, it required a great deal of effort. And when I wasn’t successful, well it usually ended up with some fleeing reds that I had worked so hard to stalk. It was during these situations that I began to reconsider my initial negative impression of the Assault Hand Paddle. It was during these situations that I wished I had such a valuable tool. After some consideration, I decided to get one and I figured that even if I didn’t use it, I would only be out about thirty bucks. Luckily, I was able to pick one up locally at Ship To Shore Co. Now, let me just say I have used the Assault Paddle for almost a month. I usually like to wait longer before writing a review but I have used this paddle so much (more than what I thought I would) and it has served its purpose so extremely well, I figured there was no need to wait longer. This paddle allows me to move my kayak short distances, reposition it to set up for that perfect cast, or to paddle with one hand while holding my rod to retrieve a snagged lure. More importantly, it allows me to do all these things without making noise because it is small and I can keep it within arms reach. I can quietly retrieve it and move around with very little effort. And this means a better chance of getting on those reds feeding in skinny water! Certainly there are more benefits and uses for this paddle but for the sake of brevity I will leave it at this, as this is the main reason I wanted one. I have no doubt about the product’s quality. Just holding it in my hand was enough to see that the Assault Paddle is very durable and could take a beating. Oh, if you are wondering if it floats… it does. I say this not because I read it but because I know from personal experience. I accidentally knocked it out of my kayak when I grabbed my net to land a nice red and when I turned around there it was floating! If you are anywhere near Lake Charles, LA and would like to check out the Assault Paddles by Backwater Paddle Company, head over to Ship To Shore Co because they have them in stock. If you are like me, sometimes it’s nice to be able to see a product first hand before making the decision to purchase. The Assault Paddle is definitely a very useful tool and is well worth the small price tag. So, what can I do with it that I can’t do with my regular kayak paddle? Well, I can do the same things but I can do them with more ease and with STEALTH! This entry was posted in Assault Hand Paddle, Backwater Paddle Products, Marketing My Company and tagged Assault Hand Paddle, Backwater Paddle Company, fishing, kayak fishing, kayaks, Marsh Life Yakin, paddle sports on October 13, 2014 by Paddleman.